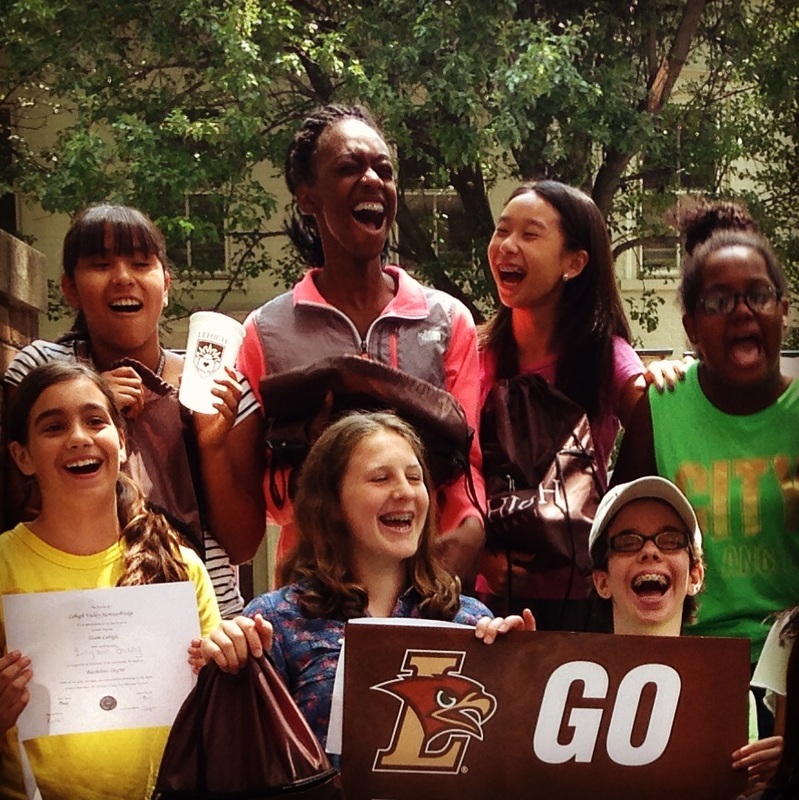 MA is a PreK – 12 Independent School comprised of a lower, middle, and upper school. LS and MS are in North Bethlehem. US campus is located near Northampton Community College. Mission: Moravian Academy is a church-related school whose Moravian tradition affirms that young people best realize their potential in an atmosphere of love and understanding. We seek to promote the child's full development in mind, body, and spirit. Since 1742 the school has encouraged sound innovations to meet contemporary challenges while recognizing the permanence of basic human values. 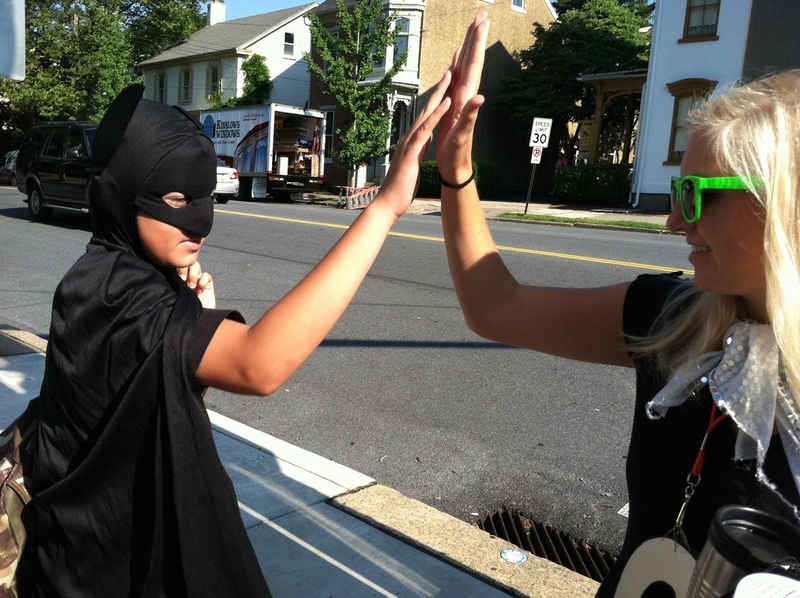 Moravian Academy's goal is to create an atmosphere of love and understanding. It is through this atmosphere that students learn best and thrive. 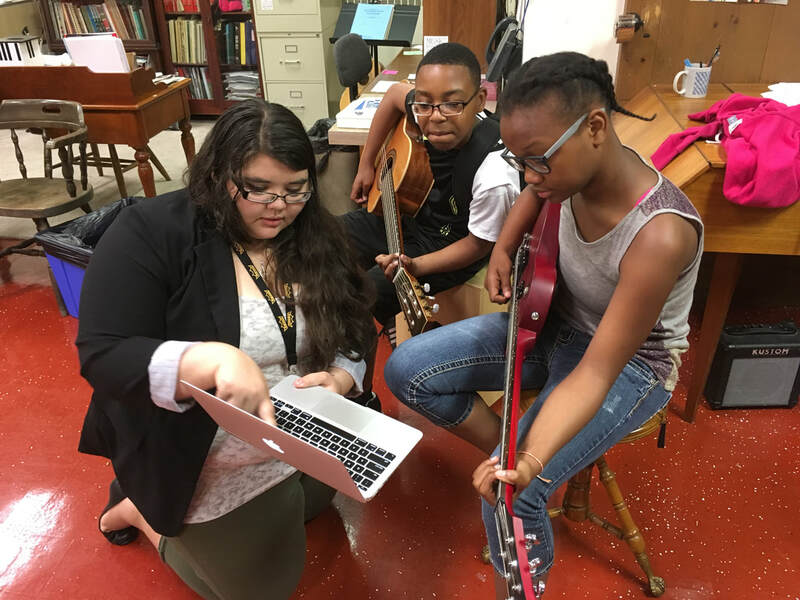 Summerbridge is a dual mission program that aspires to prepare college-aged teachers for professional life and to prepare middle school students for high school, college, and beyond. The best thing about this program is that we all love learning. 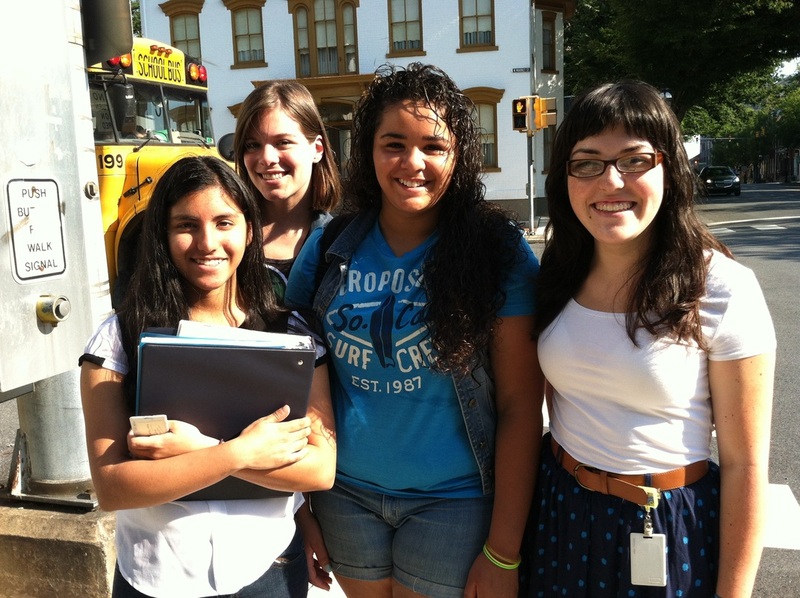 Teachers and students alike come to Summerbridge to grow as people and to learn. As we get to know ourselves and each other, we discover that while we may feel awkward and unsure of ourselves sometimes, we aren't alone. We are all a little bit weird and silly and strange and awesome. And when we come together at Summerbridge, we don't just learn science and math and literature and writing, we learn about who we want to become and how to feel comfortable in our own skin. At Summerbridge we celebrate each teacher and student for exactly who they are. Teachers in this program are aspiring professional educators mostly attending colleges in the Lehigh Valley, including Lehigh University, Moravian College, DeSales University, Cedar Crest College, and Muhlenberg College. Students are organized into core teams that have four teachers and approximately 20 students. Each core team is comprised of a math, science, literature, and writing or college prep/life skills teacher. Each department is overseen by a master teacher, a veteran teacher, often a past Summerbridge teacher, who observes each teacher in the department. Each teacher is responsible for his or her core subject as well as co-teaching an elective and a club. Each teacher also joins a committee to help plan special events like Celebration, Olympics, and trips. For many students in the Easton, Allentown, and Bethlehem school districts, a lack of resources means that college is not an option. 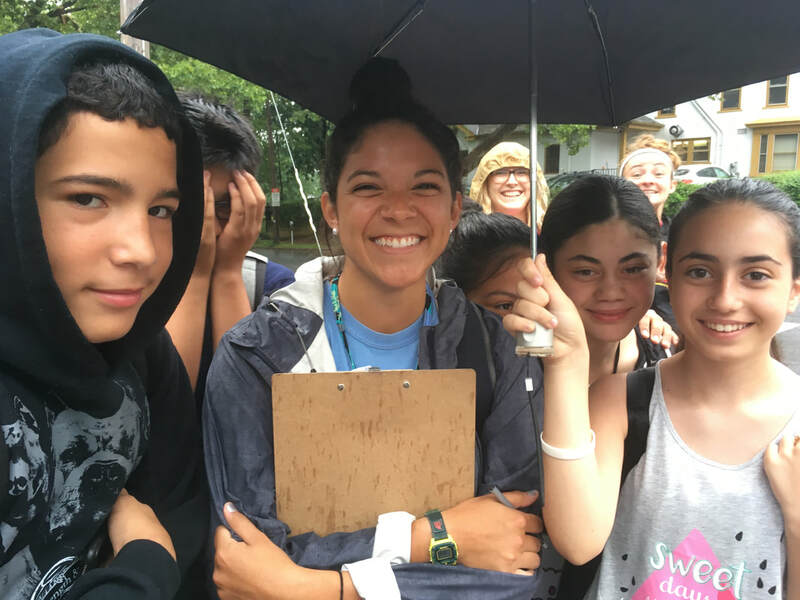 The approximately 100 students enrolled in this program each year, while generally lacking resources, demonstrate academic potential and recognize the importance of education and its potential to improve the quality of their lives. Summerbridge students make a significant sacrifice to attend this program. 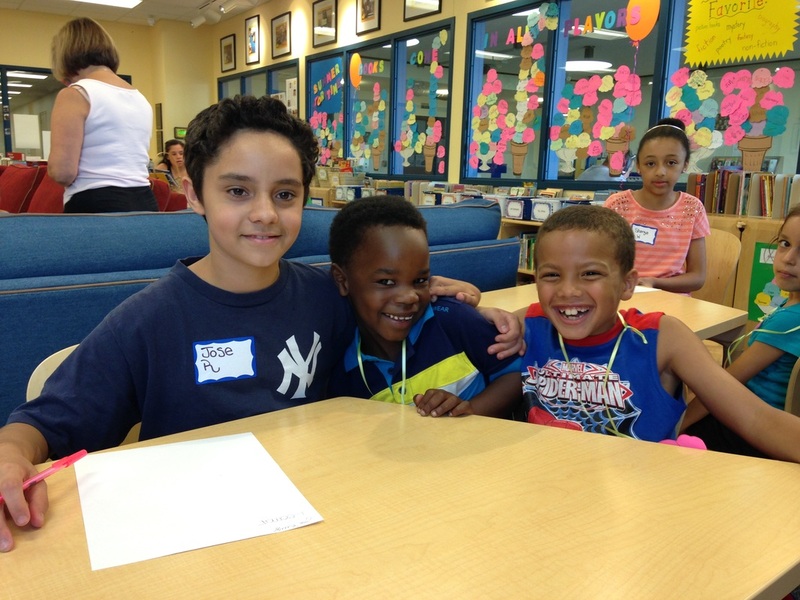 While many of their peers are enjoying time off of school and summertime activities, Summerbridge students are attending math, science, literature, writing, and life skills classes. They are painting, taking photographs, performing dances and plays, performing experiments, and doing homework. Many students ride the bus an hour each way in order to attend. These students, quite simply, are amazing. During the summer, we also take on volunteers to help us with daily activities and to provide extra help in the classroom. 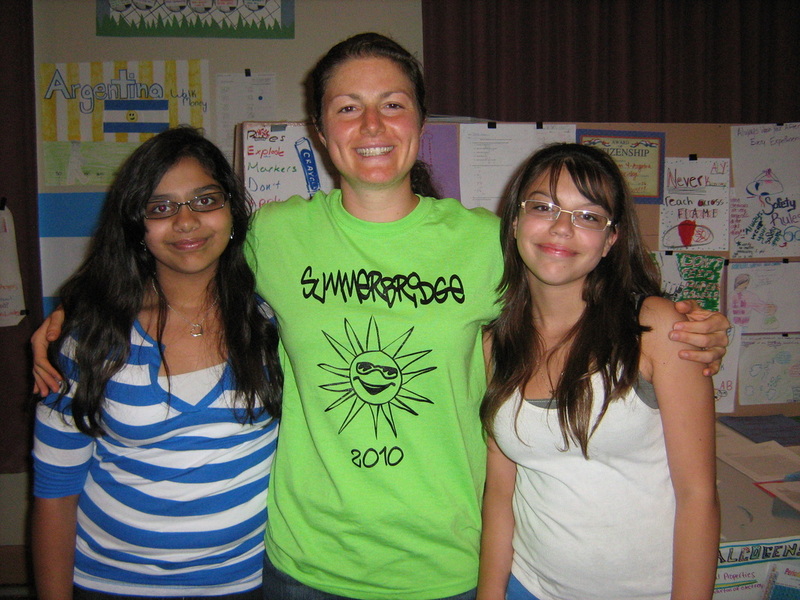 Our volunteers are Summerbridge graduates who are looking to give back to our program. 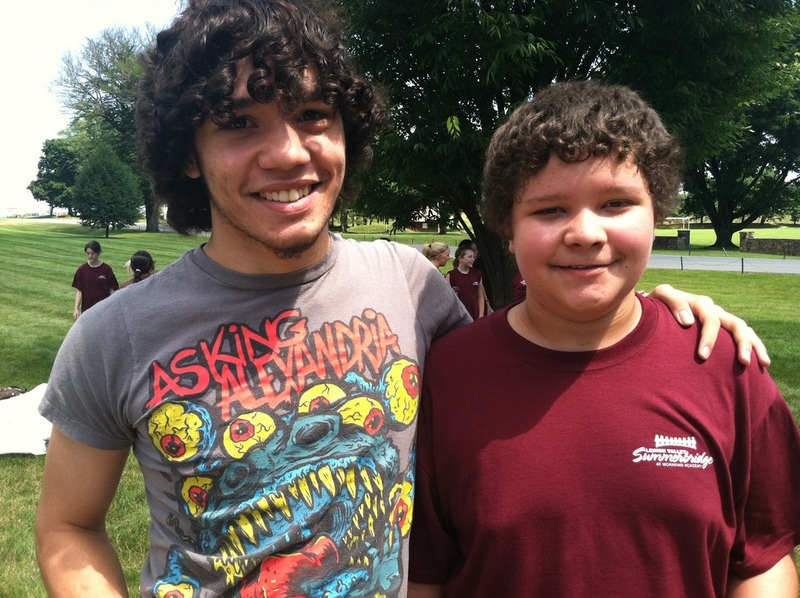 Having former Summerbridge students come back to help with the program is something that we strive to continue to do. We are able to provide opportunities for these students to continue their educations through access to our teachers and to get some teaching experience in the classroom. In turn, these students give back to our program, making it richer for those that come after them. We are also working to provide prep for these volunteers on the college search process. At Summerbridge, we strive to prepare our students for college. Each core team adopts a local college for the summer and learns about that college. 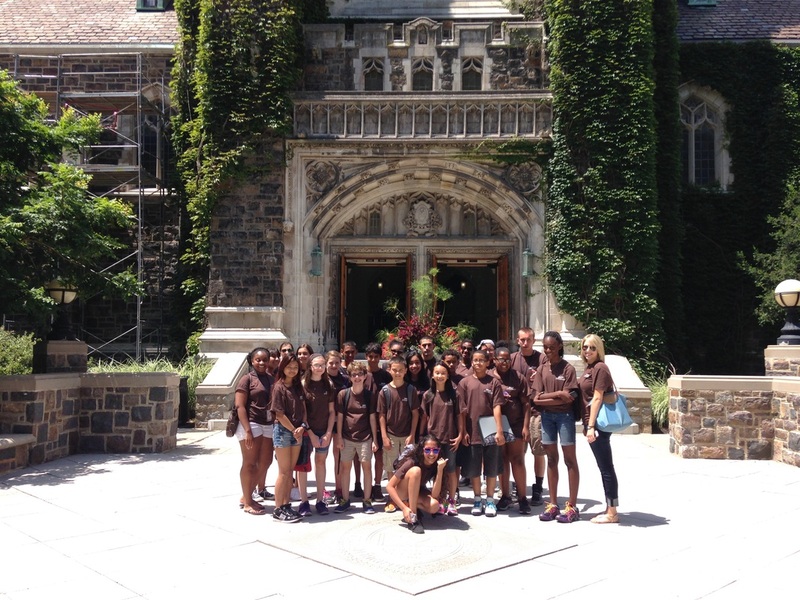 Each summer, we provide two college trips for each student. In our first round, we take students to Northampton Community College, Lehigh Carbon Community College, and Penn State Lehigh Valley. On the second round, each core team visits its own college. 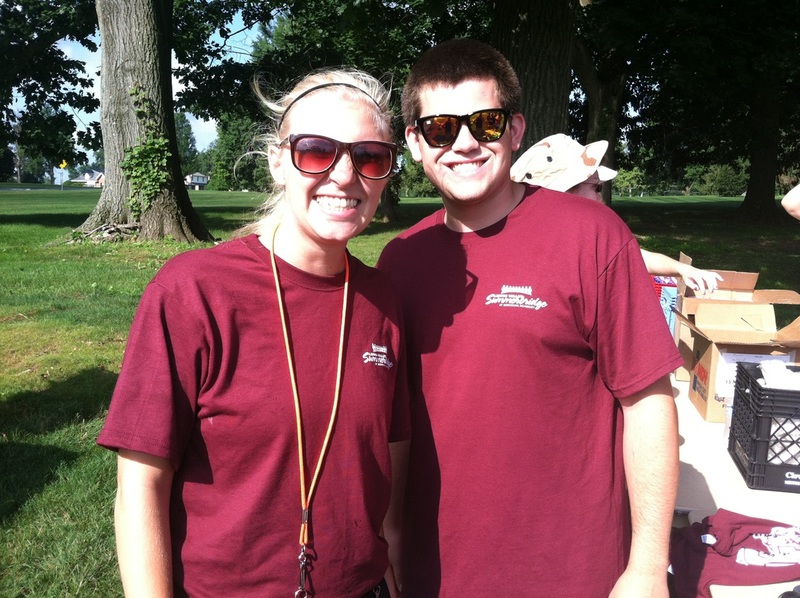 These have included Lehigh, Moravian, Lafayette, Muhlenberg, Kutztown, and DeSales. Bringing our students to college campuses not only gives them a chance to see college life, it also gives them a head start on learning how to search for the college that is right for them and what questions they need to ask. 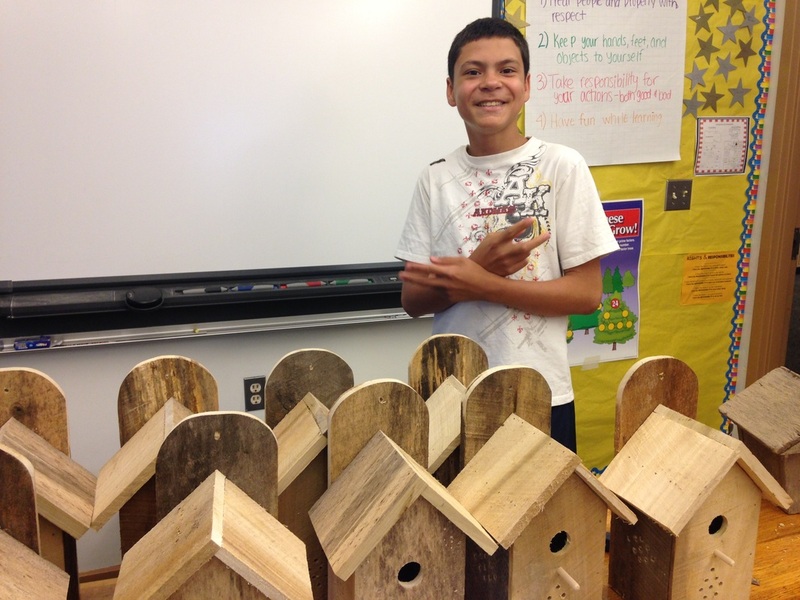 At Summerbridge, we strive to teach creative and meaningful lessons. Many of our students get lost in their regular classrooms and thrive in a more creative and smaller classroom environment. 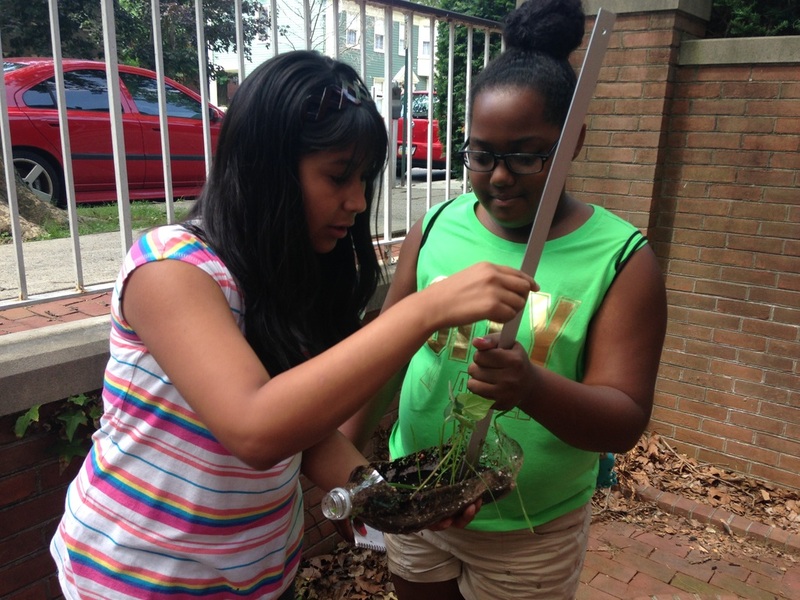 We encourage our teachers to create out-of-the-box lesson plans that engage students in discovery learning. We promote teaching students self-sufficiency, teamwork, critical thinking, and analytical skills. We also encourage our teachers to take students on field trips outside the classroom and bring in outside speakers. Past trips have included the Bethlehem Steel Mill, historic Bethlehem sites, The Morning Call, The Cops N Kids reading room, Allentown Art Museum, Iron Pigs Stadium, Martin Guitar, Apartment hunting, the Good Will for thrifting, police stations, and a forensic unit. 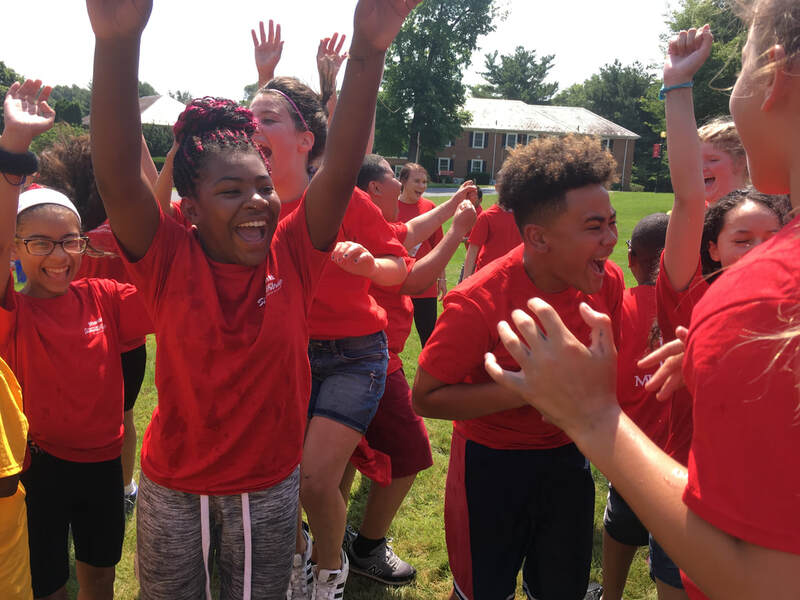 Lehigh Valley Summerbridge is a community program and would not exist without the support of Moravian Academy or the local community. 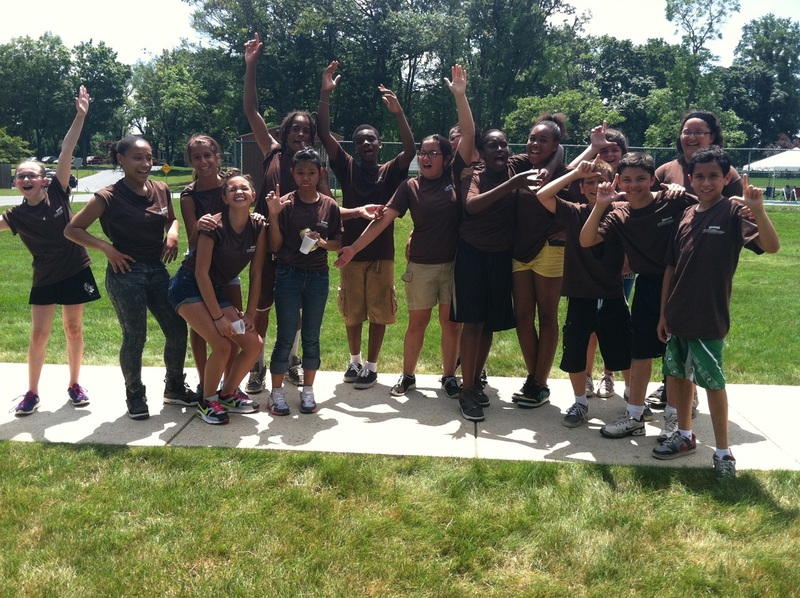 In an effort to give back to the Lehigh Valley, students at Summerbridge participate in community service during the summer. During the summer of 2013 and 2014, we focused our efforts on running a book drive for another local non-profit, Cops N Kids. Throughout the summer, our students and teachers were able to collect over 5000 books to donate to this program, which in turn, provides books to disadvantaged youth in the Lehigh Valley. We have also begun collecting books to start our own Summerbridge book room that would provide free books to our students, their families, and our teachers. Provide core subject instruction in math, science, literature, and writing or college prep/life skills. Provide instruction in student-chosen elective courses, which have included film studies, college prep, career and life skills, instrumental music, music and dance history, art history, art therapy, ancient sports, mythbusters, oceanography, lab science, journalism, photography, cooking on a budget, shark tank, urban legends, creative writing, and journalism. Provide guest speakers and educational field trips. Visit local college campuses.We have taken groups to Lehigh University, Moravian College, Muhlenberg College, Kutztown University, Lafayette College, DeSales University, Northampton Community College, Lehigh Carbon Community College, and Penn State Lehigh Valley. Offer a student boutique where students can select clothing and food items. Host a career pathways day where we bring in people to speak about their careers. In the past, we have brought in a carpenter, Lehigh University student-athletes, an advertising CEO, a police officer, a musician, a dancer, and a cosmetologist. Host an all day Olympics event where students compete in games and then families are welcome to join us for a barbecue. Host a spirit week where students are encouraged to show their Summerbridge spirit by participating in days like pajama day, school pride day, hat day, and superhero day. Host Celebration, our culminating summer event, where student groups perform for their peers and students are able to celebrate their hard work over the summer. Provide free transportation to and from Summerbridge as well as government funded breakfast and lunch. 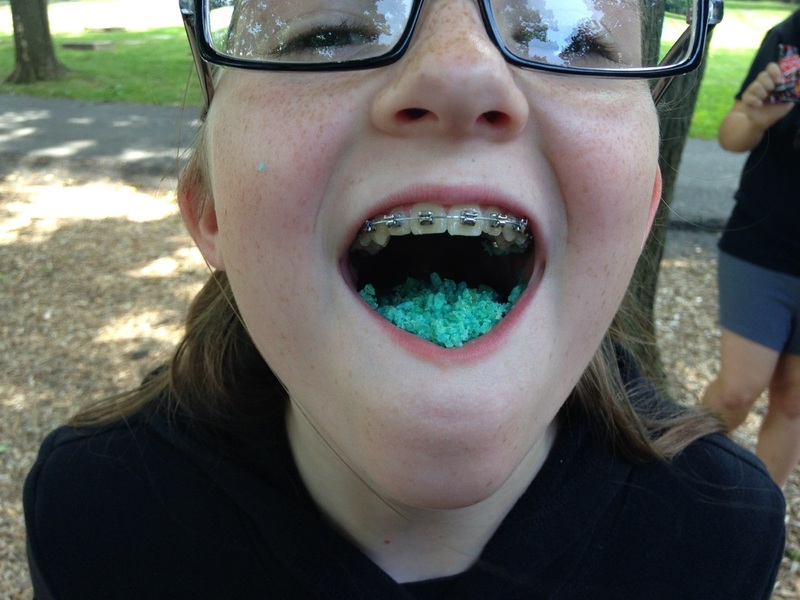 Host a school year program that includes one academic session a month and one free field trip a month including a trip to the movies, bowling alley, skyzone, lazer tag, and an Iron Pigs game. Provide an intensive 1-week orientation program prior to starting each summer. Provide instruction on lesson planning and classroom management. Provide the opportunity for each teacher to teach their own courses, work in a team teaching setting, and co-teach a course. Provide classroom observations and feedback on lesson plans. Provide a basic curriculum, based on the keystone testing standards. Enable our teachers to, within the loose confines of our curriculum, create their own 6-week unit using whatever techniques and materials they deem necessary. Provide a setting in which every teacher we hire is enrolled in a college degree program and is an aspiring educator.